Suspension Rope(3/4" [19mm] Diameter) Continuous Length on each Side. Ladders Tested to 2000lbs. Steps Tested to 700lbs. with no more than 3/4" deflection. 15" Step Spacing. 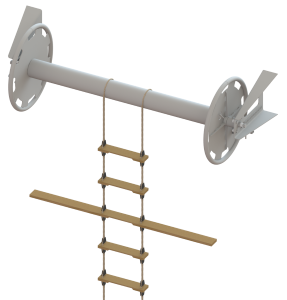 pilot ladder, "pilot ladder", "pilot ladders", embarkation, "embarkation ladder"